Building on long history of innovation, Promise Technology offers a complete line of industry leading DAS and SAN based external storage solutions for any computing environment. 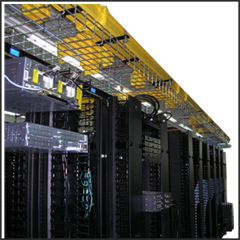 we are specialised in Custom Design and manufacturing of network enclosures. Sizes available 1U, 2U, 3U etc. We are IT infrastructure solution provider. We have designed, built and managed large and complex mission-critical IT infrastructure solutions. - Control access and content with a feature rich management interface. AC Rack with side panel mounting: Protects against Heat, Dust and Humidity for trouble free performance of your vital and expensive electronic equipment. It has independent cooling solution at Rack level itself. It has inbuilt air conditioner mounted on side panel of the Rack. The Networking units are available with floor standing as well as wall Mounting facility. During the era of Information technology , Networking had became an important tool without which data Management and systems integration is not feasible. We are engaged in providing our clients an intensive vary of IT Racks that's massively demanded across the nation's marketplace. The premium quality staple is employed within the producing of those racks by our diligent specialists in adherence with the newest market trends. During the era of Information technology , Networking had became an important tool without which data Management and systems integration is not feasible. Server / Network Racks are used to store equipments meant for computing / networking as per the requirement of a Company depending upon its size/volume of data to be stored or transacted.